Multi-operator welding systems from Lincoln Electric allow multiple operators to weld simultaneously. 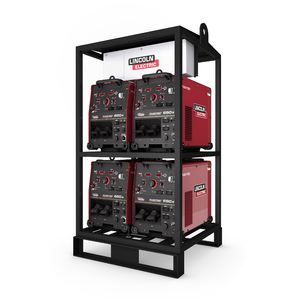 Power source racks and multiple arc systems allow you to connect several welders. Job sites benefit with independent arc control using the Multi-Weld system or rack-mounted arrays of inverter welders. .